Settled in 1870, Logan was named after John Alexander Logan of Illinois, a commander in the Civil War. Logan's early history is a colorful one, filled with stories of adventurous settlers who came to hunt buffalo or to seek homes and land under the 1870s Homestead Act. Logan's shady tree lined streets and friendly citizens create a pleasant, small town atmosphere that visitors thoroughly enjoy. 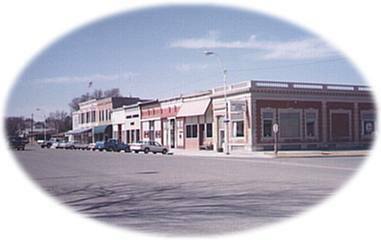 Logan is nestled amidst the gentle rolling hills of Northwest Kansas in the Southwest corner of Phillips County. The town's location on Highway 9, 14 miles west of Glade, Kansas and U.S. Highway 183, is within 40 minutes of four different county seats, making it very easy to visit. On the Eastern end of Logan's Main street stands the beautifully landscaped Dane G. Hansen Plaza. The Plaza houses the Hansen Foundation & Trust offices and the Hansen Museum, which displays exhibits from the Smithsonian Institution and attracts thousands of people every year. Scenic Logan Lake provides a great spot for campouts, family picnics and fishing. While you relax in the picturesque tree covered picnic areas, the children can enjoy the playground equipment, compliments of the City of Logan.